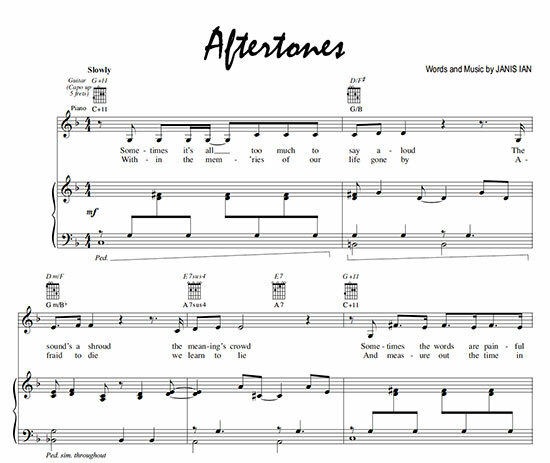 A digital copy of the single sheet music for "Aftertones" from Aftertones. Out of print in the original form, this is now the only way to get this chart. Includes guitar, piano and vocal notation.